Happy Friday! Hope everyone had a super week. 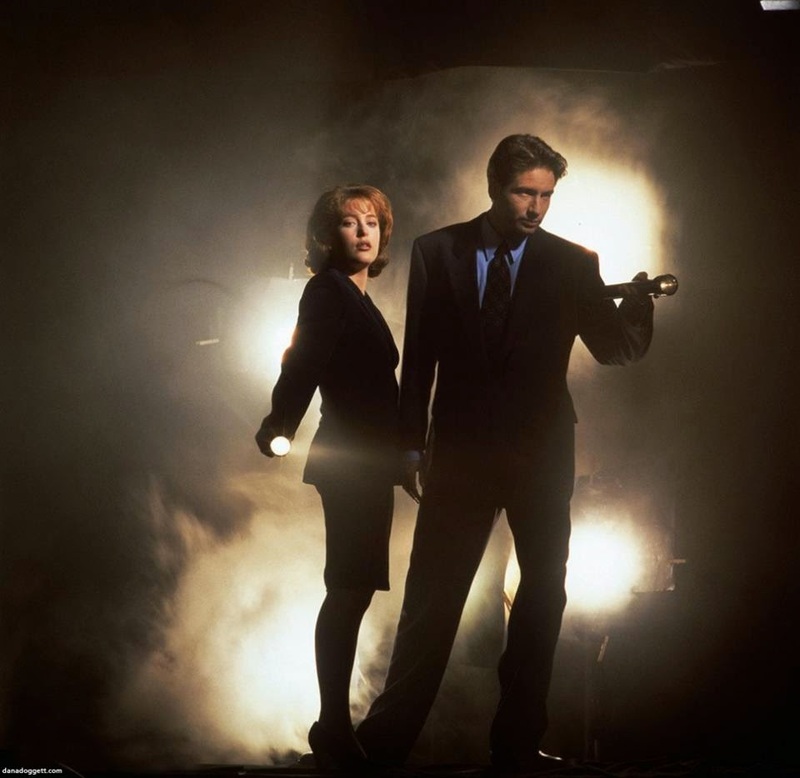 I got the teaser pages for Alien Separation done and turned in and am reviewing copy edits for Universal Alien while simultaneously doing research for my X-Files story and generally living the writer life. If you're going to be there, be sure to let me know so we can meet up! Next up, Geeks 4 Good has a great silent auction going on, to help out Oakwood Creative Care, a great place providing alternative innovations in senior care options. 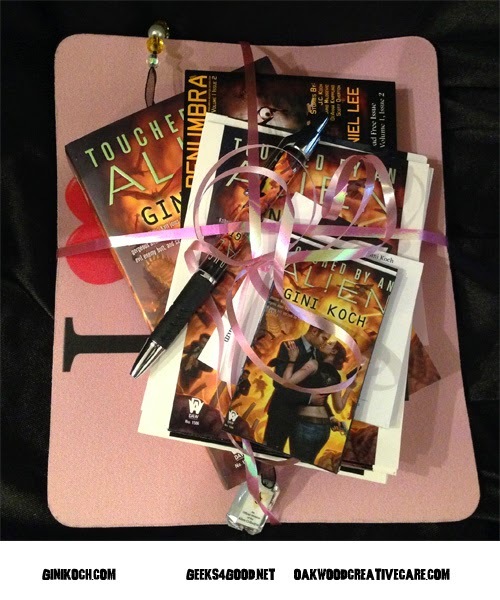 In addition to great stuff from a wide variety of folks, including authors Sharon Skinner, Tina Williams, and Marsheila Rockwell, I have an Alien Starter Pack up for grabs (Lot 28) worth $75. Bid often and early, the silent auction only goes until Friday, July 25th. 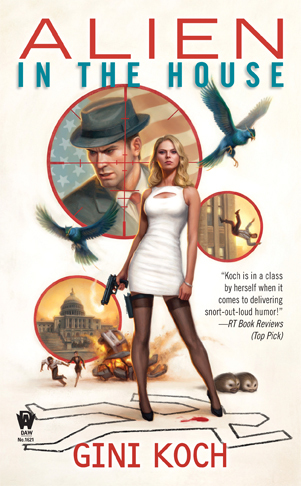 After you've bid on cool things for a good cause, head on over to something else cool -- the audiobook for Kaiju Rising: Age of Monsters, which features "With Bright Shining Faces" written by moi writing at J.C. Koch. And news alert...physical copies of Kaiju Rising are on their way and very nearly here! Next, see what More Geek Than Gay has going on. After that, head over to the DAW Book Review to see what they thought of Alien in the House. 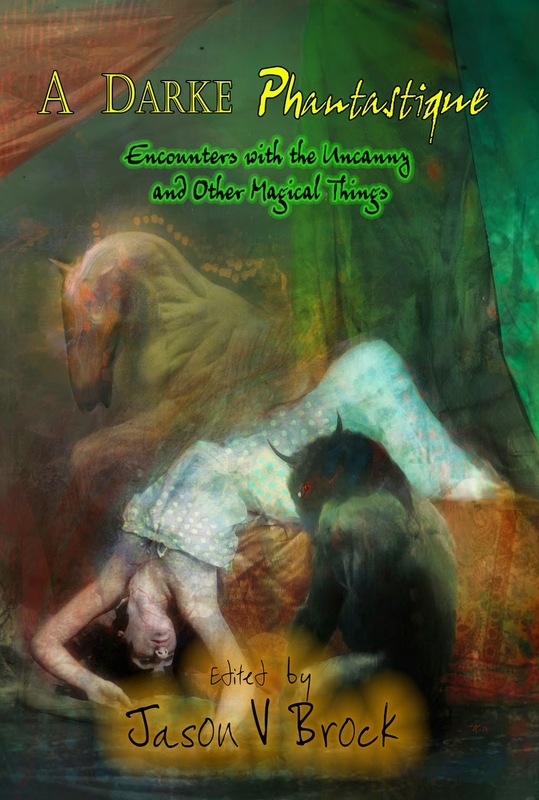 Then hit The Nameless Zine and see what they thought of the cool collection, Tales of Sand and Sorcery, by my BFF Marsheila Rockwell. Do you need this collection? Yes, yes you do. That's it for today, and probably for the rest of the month, seeing as for most of it I'm going to be getting ready for, heading to, at, and coming home from Comic-Con. Facebook and Twitter followers will have the best chances of hearing from me while I'm gone, but all y'all will be in my thoughts! So, have a wonderful rest of the month and let's be readers out there while I'm away! Peace out my li'l gangstas, and I'll catch you on the far flip side! Schedules & Covers & Announcements, Oh My! Happy Hump Day! Hope everyone's been having a great week. I sure am! The edits for Universal Alien are done and it's turned in to the awesome editor, and I have a fun weekend planned with my crit partner, who's visiting Hell's Orientation Area in the middle of the monsoon season because, um, I'm worth it. (Yeah, that's my story and I'm sticking with it.) But there's lots going on, so let's get to it! 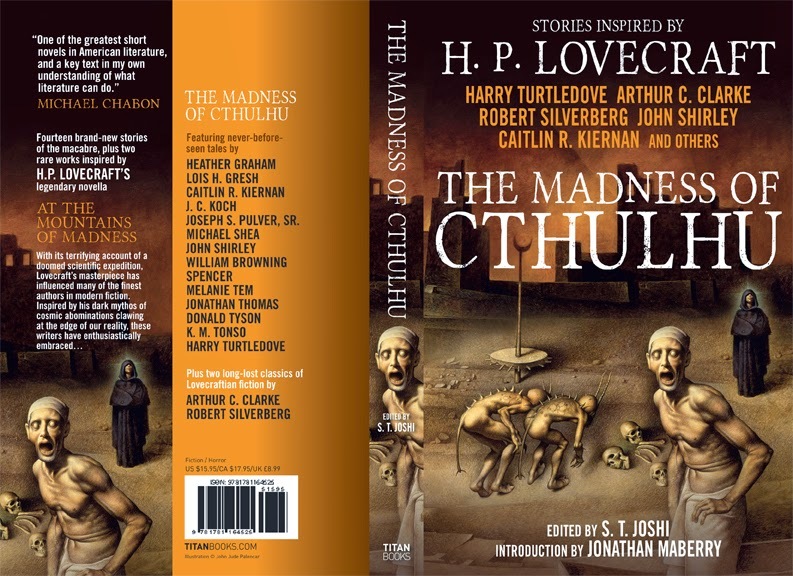 Another cool anthology I'm in, this one writing as J.C. Koch, is The Madness of Cthulhu Volume 1, edited by S.T. Joshi. This Lovecraftian anthology is coming October 7, 2014. But as we know, it's never too early to pre-order, so check out all the awesome authors in this with me and get your copy lined up today! I mean, did you check out the names on this cover? Look at them! (I'll wait.) SEE? It's a darned exciting anthology, this one, and your library won't be complete without it! This will be one of three anthologies I'm in that are all coming out in October. In addition to The Madness of Cthulhu, I will also have a story in Unidentified Funny Objects 3, and Two Hundred and Twenty-One B Baker Streets. 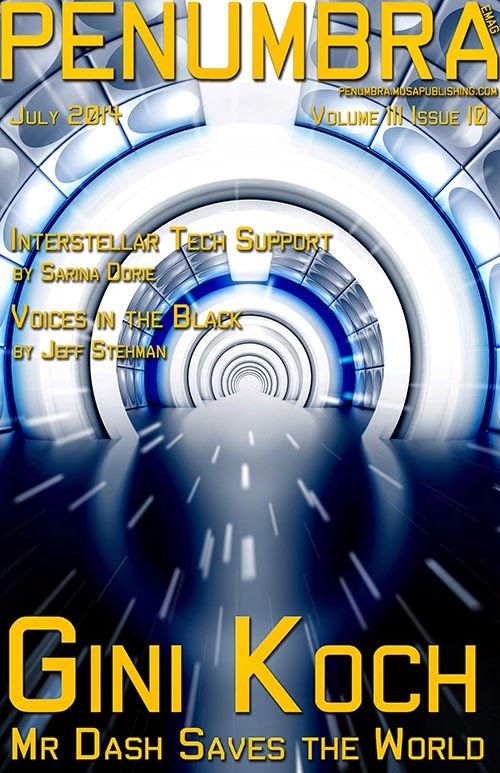 UFO 3 is edited by Alex Shvartsman and is filled with funny SF stories, and 221B is edited by David Moore and is filled with Sherlock Holmes stories set anywhere, any time, and anyhow, and both of them are made of awesome. And you can pre-order BOTH of them right now! I mean, why not be sure you have lots of fun things to read in October? Also, lest you think that I'm only in these upcoming anthologies, I'm also in A Darke Phantastique, writing as J.C. Koch again. This another cool Lovecraftian and horror collection, edited by Jason Brock. The link is for the collector's edition, but there will be other editions coming down the line. And don't forget Clockwork Universe: Steampunk vs. Aliens, edited by Joshua Palmatier, and featuring "A Clockwork Alien". This one has been a little delayed, but should be out later this month. After you've gazed at all these pretty covers, remember that the July issue of Penumbra eMagazine, featuring my next Alien series short, is on sale now. Don't miss out on "Mr. Dash Saves the World", and also don't miss out on the Gini Special, where you can get a full year's subscription for half price, plus the 2012 and 2013 Best Of issues. Use 2014Gini when you order to get the deal! Next up, see what Larissa's Bookish Life chose as the top five book covers of the first half of 2014! And speaking of book covers, while I can't show it to all y'all yet, I've seen the final art for Universal Alien and Dan Dos Santos has done it yet again! The cover is GORGEOUS and I can't wait to share it with you the moment I'm allowed to! Now it's time for my upcoming appearances schedule! San Diego Peeps: Make sure to let me know if you'll be at SDCC so we can all meet up! Saturday, August 2: I'll be signing at the Cosplay/Superhero Day at Dog-Eared Pages from 2pm-4pm. Friday, August 22 through Sunday, August 24: CopperCon FANtasm. I'm one of the author guests and this is a great, intimate con, where you get to hang out with all the guests and talk all things geek all weekend. Late September: I'll be in the Chicago area. Appearance dates to come. Amazingly enough, I think that's it for today. But, as always, more's on the way. So enjoy the downward slide to the weekend, and let's be readers out there! Peace out, my li'l gangstas, and I'll catch you on the flip side! Happy Day Before the Big US Holiday! Yes, it's the US Independence Day tomorrow, and those of us in the US have big plans to eat mass quantities and make lots and lots of noise. But before then, there's lots to catch all y'all up on, and I have much to do before I sleep and all that jazz. So let's get to it! First up, the July issue of Penumbra eMagazine is already in the hands of those who've taken advantage and gotten their subscription. 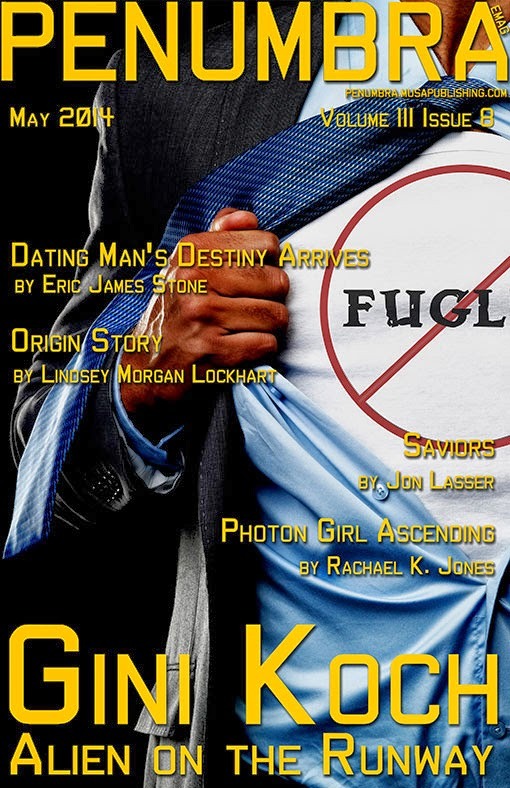 This month's issue features another Alien series short story, "Mr. Dash Saves the World". If you haven't taken advantage of the half-price for a year's worth of awesome stories deal, there's still time. Just enter 2014Gini when you order, and you'll get the deal, PLUS the 2012 and 2013 Year's Best of Penumbra issues. Such a deal. And there's a third Alien series short coming in November. Truly, get on board NOW. And yes, if you missed out, you can still get back issues, like the May issue featuring "Alien on the Runway". Next, check out the awesome cover for the next cool anthology I'm going to be in -- Two Hundred and Twenty-One Baker Streets: An Anthology of Holmesian Tales Across Time and Space. 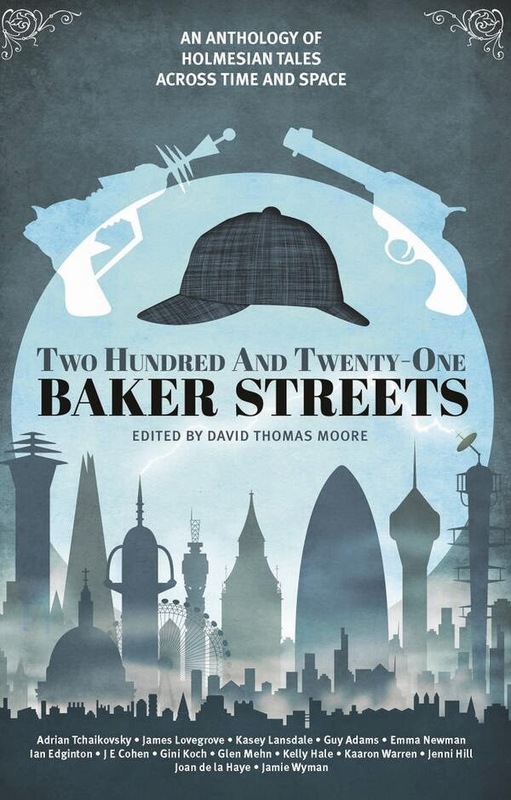 It's available for pre-order and it's going to be a totally cool anthology -- every author was allowed to take Holmes and Watson and put them anywhere, any time, any how. Yes, it's moi writing a straight mystery, and this is going to be an anthology you don't want to miss! It's releasing October 7th, so make sure you've got your copy heading to you by pre-ordering! 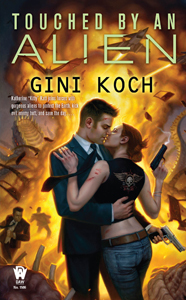 Speaking of pre-ordering, I've seen the cover for Universal Alien and it is STELLAR! Can't reveal it yet, but rest assured that I will as soon as I possibly can, because it's da BOMB! And, since you'll be racing off to pre-order the 221 B anthology, do your girl a solid and pre-order Universal Alien at the same time. Because pre-orders matter a lot, yes they do. Next up, see what Fresh Fiction thought of Alien Collective. 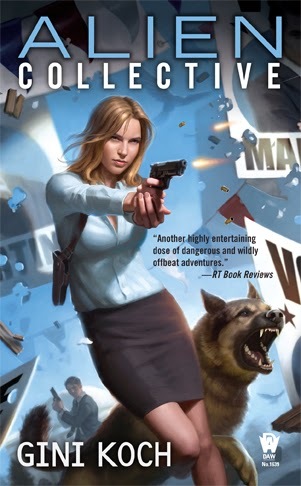 Then see what Larissa's Bookish Life chose as her top 5 books of the first half of 2014. 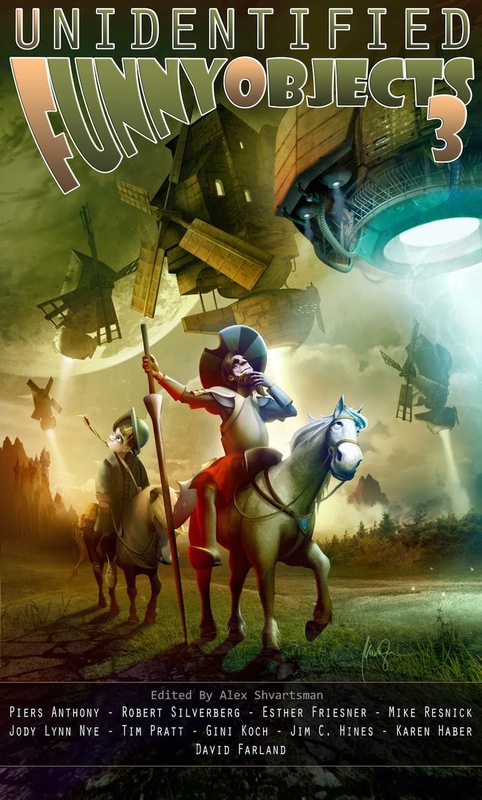 After that, head over to see what John DeNardo of SF Signal has to say over at Kirkus Reviews about the SF&F Merry-Go-Round. 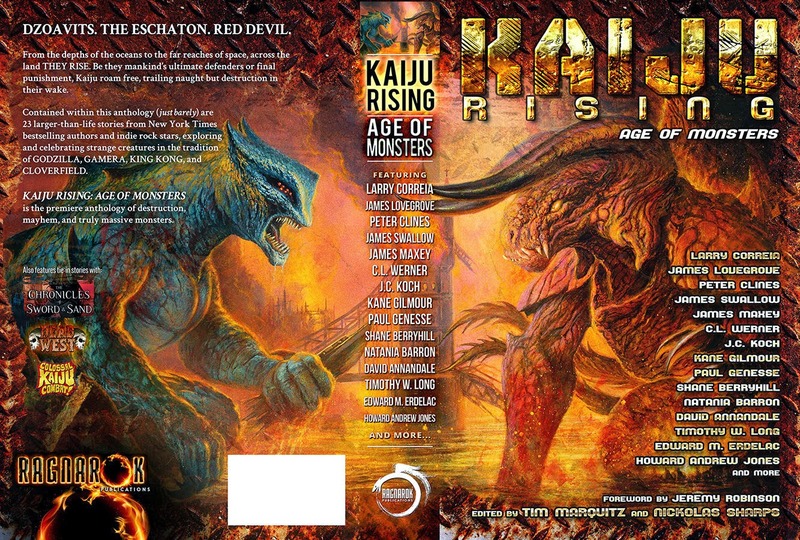 In other audible news, the Kaiju Rising: Age of Monsters anthology, with a story by moi writing as J.C. Koch, is now available in audiobook format! As is Alexander Outland: Space Pirate by moi writing as G.J. Koch. AND as is Touched by an Alien by moi writing as moi. I know! All the listening you can do! Speaking of Touched by an Alien, check out the headline True TV chose for the new Halle Berry series, "Extant". No, this isn't my announcement that the series has gone Hollywood (sadly LOL). I just think it's funny. And last but in no way least, for the aspiring authors out there, some words of wisdom from Jennifer Crusie on the publishing part of this business we call show. That's it for today, but as always, more's on the way. For those of you celebrating the 4th, have fun, be good, and be careful. Everyone everywhere enjoy the weekend to the fullest, and I'll catch all of you on the flip side. Peace out, my li'l gangstas, and let's be firework level readers out there! What Do You Mean I Should Start a Blog? So Many Things and Comic-Con, Too! See The Me This Week...And Then Some! Seeing the Me...and a Whole Lot More!